The 2017-2018 season was a year for the Midway Conference to build and grow. This year the Midway played the most games they ever had and traveled more than they have ever before. With that, it bred some tough competition between these teams and led to some stand out players. The following list was chosen by their peers and here are the top 18 players of the Midway. This individual did it all for Platteville. Tim would catch when a catch was needed and had an arm to go along with it. As a captain, he made his presence know on the court and had a killer ball fake. Captain Fluffy, the bearded wonder. I was always amazed on the amount of hair he could grow on his face, a true talent. This guy was definitely my top player in the Midway Conference. He threw harder than anyone out there and was an effective communicator on the court. I always hated going against his throw. They will be missing him next year on the court. Despite battling an injury for part of the season, Erik Zander’s strong play has earned him the #3 spot on this list. Erik has been a great leader for Wisconsin Platteville over the past few seasons. He is a big reason why UWP remains atop the Midway Conference each year. Not only is Erik a dependable player for the Pioneers as both a thrower and catcher, he is also a very important on court presence. Last Saturday, the teams of University Nebraska- Lincoln, DePaul University, and University of Wisconsin- Platteville competed at the CDO also know as the DUI. Below are the results of the day. Tanner you must have been thirsty! Another awesome group picture. 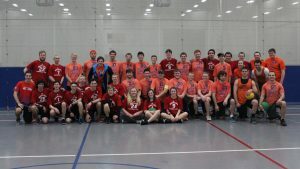 On Saturday February 24, one of the great tournaments of the semester occurred between two teams, University of Wisconsin- Platteville and University Nebraska- Lincoln. It was another matchup between the Cornhuskers and the Pioneers and UWP got the best of UNL. Here is how the games went overall this weekend. Another fine group picture from the Midway Conference! It was a great day for a tournament for Nebraska, DePaul, and Platteville. The games were competitive and everyone had a great time. The day first started out with Platteville and a few of DePaul’s first years playing against Nebraska’s first years. It was a good experience for all as it got everyone warmed up and ready to go. The order of the games went: Platteville vs. DePaul, Platteville vs. Nebraska, and DePaul vs. Nebraska. This week kicks off the first tournament of the year for teams of Nebraska, DePaul, and Platteville. The Cornhusker Clash should be a blast and should provide some quality games for the teams participating. The last time that Nebraska held a tournament was two years ago and Platteville and DePaul attended. These teams all have experience which makes this a much different tournament than two years ago. By: Erik Zander and Matt Bautch (both UWP) with Zigmas Maloni in parenthesis for minor additional commentary. 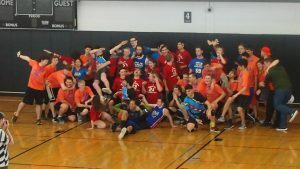 PLATTEVILLE – Williams: the Zanderthon Throw-down. 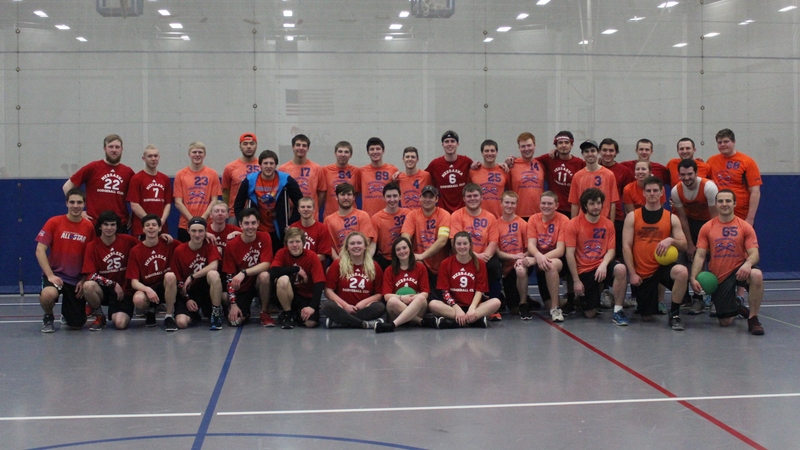 I would first like to say thanks for the teams that are making Platteville’s first ever real home tournament possible. 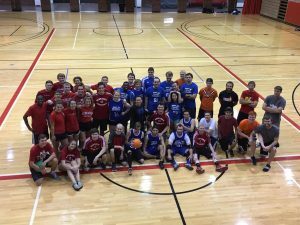 The teams involved on Feb 20, 2016 at Williams Field House are: Platteville Pioneers, DePaul Dodgeball Society, and Nebraska Cornhuskers.